Christmas bowed to an imaginary welcoming party and then turned to examine himself in one of the building’s glass panels. 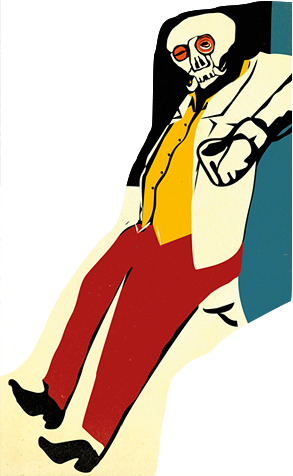 Fifty-eight years old, fat, moustachioed, sporting a Panama hat, red trousers and a cream jacket, Harry Christmas flared his nostrils and sucked in his cheeks. He thought he looked terrific. “Señor?” said the taxi driver, watching his fare with amazement. Christmas bared his teeth with a smile, then swept an arm forward, bidding him lead the way. It had been an eventful journey. Now Christmas was ready to gorge on the fatty pleasures of an international business hotel. The two men arrived at a white Toyota. The driver held open a rear door, but Christmas headed for the front seat. They drove off towards the city in silence. The taxi driver looked at Christmas. Christmas looked at the taxi driver. They both looked at the road. “Your trousers, Señor – they are on the wrong way round.” Christmas looked down. 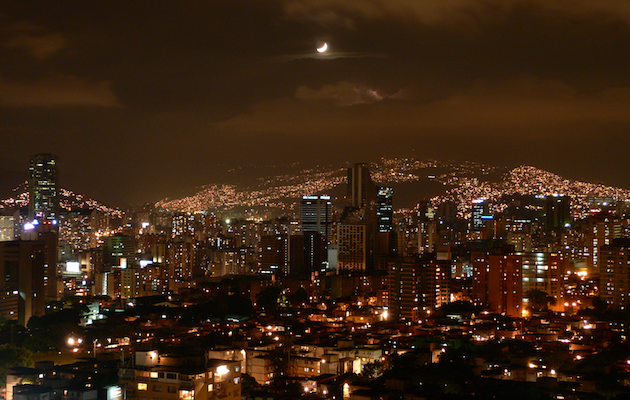 As the traffic clogged and unclogged they shifted into Caracas, stacks of matchbox houses stuffed up against the El Ávila mountain range. The air was warm, the moon struggling through cloud. The city greeted Christmas blindly, feeling his face through the windscreen while Pepito swore at other motorists. It began to rain. Beggars flowed between the moving cars and crowded around the bins. A pregnant woman selling packets of fried banana jumped to avoid a motorbike. 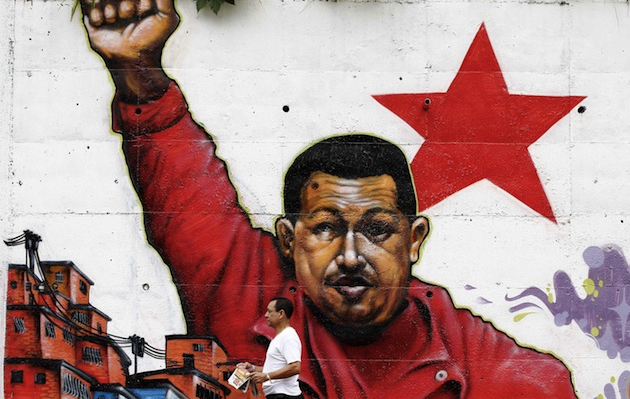 Revolutionary murals covered every wall. Christmas noticed the driver was looking at his trousers again. On through the streets they choked, past unfinished construction projects jutting out from shadow, past people running for shelter with jackets and newspapers held over their heads. “You want to go to a nightclub, Señor?” said Pepito, as they pulled up outside the hotel. “I can pick you up later. Nice place. Good show, live girls …” He was bouncing his eyebrows. “Oh well, in that case, perfect,” huffed Christmas, intending never to see this man again. He hauled himself out of the taxi and squared up to the hotel. Pepito drove off. Christmas adjusted his hat and flexed his moustache. He was still drunk. Like other hotels of its ilk, Gran Melía liked to punctuate its relentless shininess with hysterical flower arrangements and excessively polite staff. Staying here was an extravagance but, if Christmas hoped to make any progress in this town, impressions would be all-important. He identified and marched towards the reception desk, holding the receptionist’s gaze so that she might not notice his trousers. “Harry Christmas,” he beamed, “checking in.” Christmas handed over a credit card and his passport. The receptionist busied herself at the computer. Everything was in order. His room key was in her hand. “It’s room 4422 – your luggage, Señor?” she queried, examining the empty space around his feet. 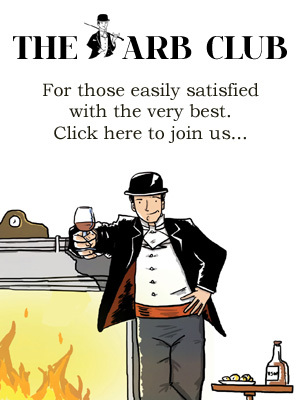 “Well, now that we’ve found some common ground, perhaps you could send two large glasses of Laphroaig up to my room.” On the verge of replying, the receptionist hesitated. This guest had his trousers on the wrong way round. “Señor, if you can please ask to the room service—” but Christmas was off, giving the lobby a cursory sweep for lonely women before marching into the lift. His room was large. Royal blue furnishings. Dark wood. He found the mini bar and inspected its contents. He checked the bathroom, acknowledging the shower with disdain. Showers symbolised everything that was wrong with the modern world: quick, loud, stupid. He caught sight of himself in the mirror and straightened up. Christmas had been handsome in his youth, and though the strong face remained, his many vices had left him corpulent, with disgruntled skin and mottled teeth. Even his nose had grown fat, but Christmas saw only beauty. His cheekbones were bold, his eyes a furious blue. He admired his own moustache. He admired his head in his Panama, making imperceptible adjustments to its angle. He sat down on the bed, took off his shoes and trousers, stood up, and admired himself again. A knock on the door. “What the devil is it now?” he barked. Outside was a man with two large glasses of single malt. “Bravo!” Christmas signed the bill with an indecipherable glyph. He took the drinks, kicked the door shut and downed one immediately. Gasping with satisfaction, he put the other on the bedside table and took off his hat and his socks. He examined his feet. He had always considered them to be rather fine – proportioned, elegant – and was pleased once again to confirm his own opinion. He took the remote control from its holder and turned on the television. President Chávez, dressed in the colours of state, was making a speech to the assembly about proposed reforms to the constitution. He spoke like a boxing ring announcer, great undulations of pitch and rollings of the ‘r’. “R-r-r-r-r-evolución!” practised Christmas, turning it off. He drained the second scotch, undressed fully, and flopped back into bed. He yawned at the ceiling and felt fatigue grind into a deeper gear. Air travel be damned! There would be several palm-fanned evenings of tropical enterprise before he subjected himself again to that kind of institutionalised maltreatment. Christmas smiled. Yet here he was. He had escaped. He reached over and turned off the light. His eyes adjusted to the dark. Jasper Gibson is a writer, humourist and Creative Director of the satirical website, The Poke. 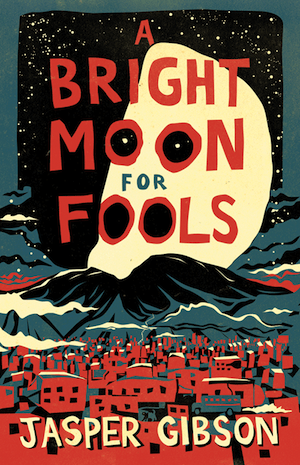 A Bright Moon for Fools, Jasper’s debut novel, is released in hardback on Thursday 2nd May and is available from all good stockists and on Kindle.